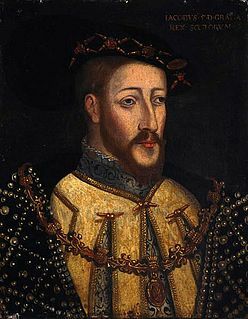 James saw the importance of building a fleet that could provide Scotland with a strong maritime presence. James founded two new dockyards for this purpose and acquired a total of 38 ships for the Royal Scots Navy, including the Margaret, and the carrack Great Michael. The latter, built at great expense at Newhaven, near Edinburgh and launched in 1511, was 240 feet (73 m) in length, weighed[clarification needed]1,000 tons and was, at that time, the largest ship in the world. 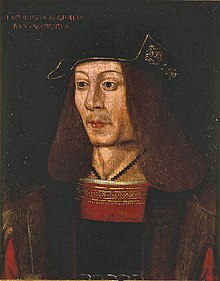 Wikimedia Commons has media related to James IV of Scotland. John Stewart, 1st Earl of Lennox was known as Lord Darnley and later as the Earl of Lennox. 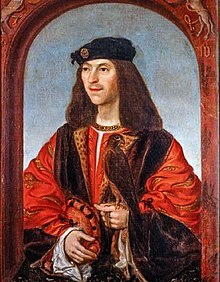 Antoine d'Arcy, sieur de la Bastie-sur-Meylan and of Lissieu, was a French nobleman involved in the government of Scotland.